Discover our full range of crystal products here and use our product search to find the exact crystal you need. Our highlighted key crystal products are chosen for their combination of highly competitive commercial pricing and large range of developed frequencies and specifications. For more information on our key product range you can contact our expert advisers here. Highly competitive for high-volume consumer projects, the ultra-miniature GWX-1610 measures just 1.6 x 1.0 x 0.5mm making it one of our smallest commercially available crystals and ideal for size-sensitive applications. GWX-1610 also features good ageing, low drive level and a choice of calibration tolerances, and is available in a choice of circuit conditions at 32.768kHz. Highly competitive for high-volume consumer projects, the ultra-miniature GWX-2012 measures just 2.05 x 1.2 x 0.60mm making it ideal for size-sensitive applications. GWX-2012 also features a choice of calibration tolerances, and is available in a choice of circuit conditions at 32.768kHz. 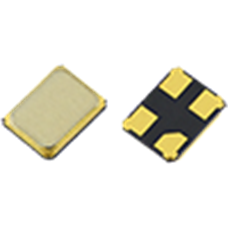 One of the smallest crystals in our key product range, the ultra-minature ceramic package of the GSX-213 makes it ideal for space-dependant applications such as wearables, smartcard, NFC and bluetooth. The GSX-221 ultra-miniature crystal is ideal for wireless and bluetooth applications and is particularly competitive for this size range. Offering tight stability and high reliabilty due to its seam sealed package and tight calibration tolerance and temparture stability options, this crystal is ideal for new designs requiring an ultra-miniature crystal footprint. The ultra-miniature GSX-321 measures just 2.5 x 2.0 x 0.6mm making it ideal for size-sensitive applications. 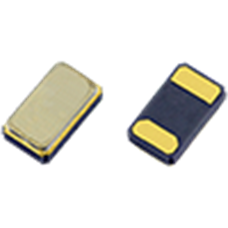 This miniature surface mount crystal also features a choice of operating temperature ranges and temperature stabilities, and is available in a choice of circuit conditions at frequencies 12.0 ~ 66.0MHz. 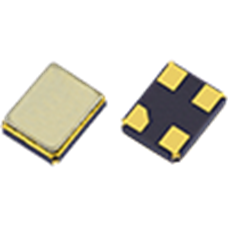 The GSX-331 miniature surface mount crystal is available over wide available frequency range from 10.0 ~ 125MHz. GSX-331 features a miniature package measuring 3.2 x 2.5 x 0.8mm, and is available in a choice of operating temperature ranges and with a range of temperature stabilities. Find more information and configure your product here. The GSX-431 crystal is available at frequencies between 13.0 ~ 32.0MHz and features a range of excellent frequency tolerance and temperature stability options. This crystal is seam sealed for excellent long term stability and ageing characteristics. 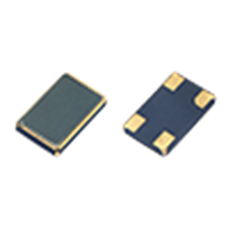 The GSX-531 is available at high frequencies from 8.0 ~ 100MHz and features a miniature package measuring 5.0 x 3.2 x 0.9mm. Available in a choice of operating temperature ranges and with a range of temperature stabilities and calibration tolerances as tight as ±5ppm, this crystal also features excellent ageing characteristics and low drive level. The GSX-751 high frequency crystal is available at frequencies between 6.0 ~ 100.0MHz and features 7.0 x 5.0mm package and a range of excellent calibration tolerance and temperature stability options, along with other configurable options including circuit condition and operating temperature range. 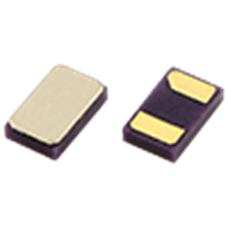 The highly configurable, low profile GSX49-4 crystal is available at frequencies between 3.18 ~ 90.0MHz and features a range of calibration tolerance, temperature stability, operating temperature range, and circuit condition options. One of our most competitive crystals, you can find full product specifications and configure your product here. Suitable for use in a range of extreme environments, the gold plated pads of the CC1A-T1A offer excellent longetivity and solderability for specialist applications. 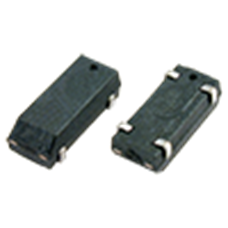 This fundamental mode crystal features excellent shock and vibration resistance and is available in frequencies from 8.0 ~ 30.0MHz and in military standard operating temperature range of -55 to +125°C. Available with extreme operating temperature ranges including -55 to +200°C, and featuring gold plated pads for extra longevity, the CC1A-T1AH is ideal for harsh environment applications including down hole, avionics, and geothermal industries. This surface mount crystal is available from 8.0 ~ 24.0MHz and has extremely good shock resistance of 10,000g and vibration resistance of 40g rms 10.0 ~ 2,000Hz. Ideal for use in a range of extreme environments where custom pad termination material is required, the CC1A-T3A offers excellent shock and vibration resistance and is available in frequencies from 8.0 ~ 30.0MHz and in military standard operating temperature range of -55 to +125°C. Available with extreme operating temperature ranges including -55 to +175°C, the CC1A-T3AH is ideal for harsh environment applications including down hole, avionics, and geothermal industries. 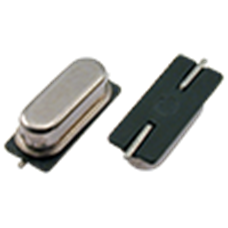 This surface mount crystal has extremely good shock resistance of 10,000g and vibration resistance of 40g rms 10.0 ~ 2,000Hz, is available from 8.0 ~ 24.0MHz, and SAC (Sn/Ag/Cu) tinned pad terminations. With gold plated pads for excellent longevity and solderability, the inverted mesa technology within the CC1F-T1A allows this fundamental mode crystal to offer excellent shock and vibration resistance at frequencies up to 250MHz. With military operating temperature range of -55 to +125°C available the CC1F-T1A is an ideal crystal for high frequency military, avionics and down hole applications. 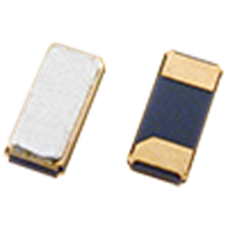 The gold plated pads of the CC1V-T1A offer excellent longevity and solderability for applications requiring low frequencies. 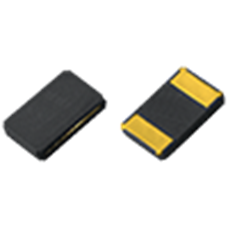 This surface mount crystal features excellent shock and vibration resistance and is available in frequencies from 10.0kHz ~ 2.0MHz and is also available in military standard operating temperature range of -55 to +125°C. The gold plated pads of the CC2A-T1A offer excellent longevity and solderability for specialist applications. 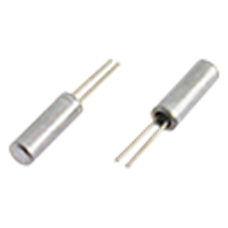 This crystal features excellent shock and vibration resistance and is available in fundamental mode at frequencies from 12.0 ~ 70.0MHz and is also available with military standard operating temperature range of -55 to +125°C. Ideal for harsh environment applications including down hole, avionics, and geothermal industries, the CC2A-T1AH features extreme operating temperature ranges including -55 to +200°C, and gold plated pads for extra longevity. This surface mount crystal is available from 14.0 ~ 40.0MHz and also has extremely good shock resistance of 10,000g and vibration resistance of 40g rms 10.0 ~ 2,000Hz. The CC2A-T3A offers SAC (Sn/Ag/Cu) tinned pad terminations, ideal for material sensistive applications. This fundamental mode crystal also features excellent shock and vibration resistance and is available in frequencies from 12.0 ~ 70.0MHz with military standard operating temperature range of -55 to +125°C. The CC2A-T3AH is ideal for harsh environment applications due to its choice of extreme operating temperature ranges including -55 to +175°C. This surface mount crystal is available from 14.0 ~ 40.0MHz, has extremely good shock resistance of 10,000g and vibration resistance of 40g rms 10.0 ~ 2,000Hz, and offers SAC (Sn/Ag/Cu) tinned pad terminations. The two pad ceramic package CC4V-T1A with gold plated pads offers excellent solderability and high shock and vibration performance at extremely low frequencies. 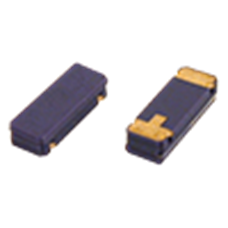 The CC4V-T1A is available from 30.0kHz ~ 1.0MHz, and features miniature 5.0 x 1.9mm package and military operating temperature range of -55 to +125°C.